Mt. Mitchell (6,684 ft./ 2,037m) is the tallest mountain, east of the Mississippi, and the perfect peak to hike for virgin baggers. 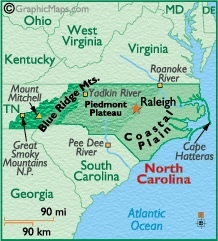 It is in Pisgah National Forest, near Burnsville, NC, and part of the Appalachian Mountains. Colliding tectonic plates created the Appalachian Mountains and at one time, they were as tall as the Rocky Mountains out west. Billions of years of erosion have whittled their height in half. Today, Mt. 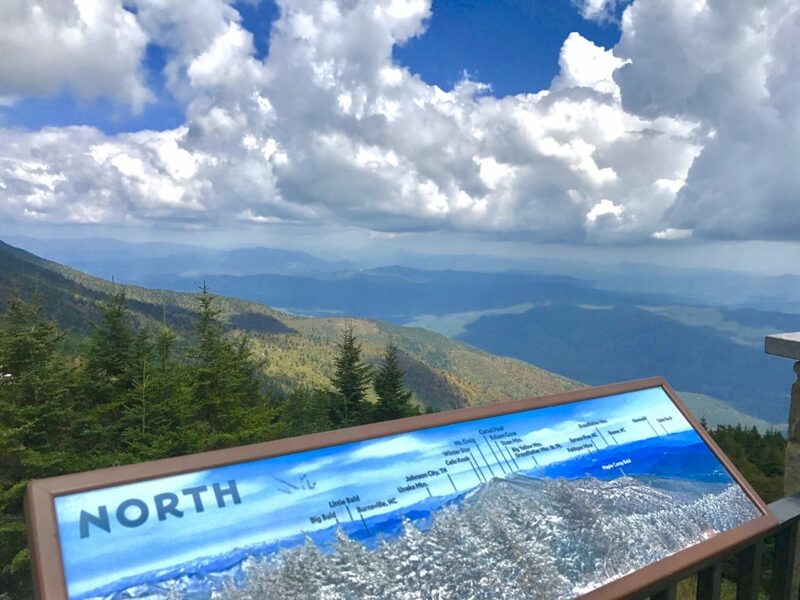 Mitchell is the loftiest among the Appalachians and a popular peak to summit. starts and finishes at Black Mountain Campground (2,680 ft.). Tip: If you are not staying at Black Mountain Campground, park for free, on the side of the road outside the entrance. For $5, you can park inside the campground and this includes a post-hike shower. The ascent is a gradual meander on hard packed dirt and roots through a lush forest, filled with spruce, pine and rhododendron. There are a couple long-distance views, between switchbacks, but otherwise, the entire trek is spent in the forest. Only in the last hundred yards do you emerge above the tree-line and onto a pathway that leads to the touristy observation deck and applicable sign marking the location. Tip: Unless you hitchhike (which is not recommended), there is no transportation from the summit. If you hike up Mt. Mitchell, you better be able to hike down. The trek is considered a Class 1 (easy) climb. No scrambling or climbing required. That being said, the Mt. Mitchell State Park website states that this is a ‘strenuous hike’ and requires 8-hours to complete it. We did not find it strenuous. It took us 6-hours RT. This included a couple water/snack breaks and twenty-minutes at the top taking in the views. Elevation gains are spread-out over 6-miles. It is just a long 12-miles round-trip hike on your feet. You do need to be in good physical condition and prepared. Wear appropriate footwear, carry water and an extra layer of clothing - it gets chilly at the top. This is a trail I’d recommend for kids, but be ready to take more breaks. 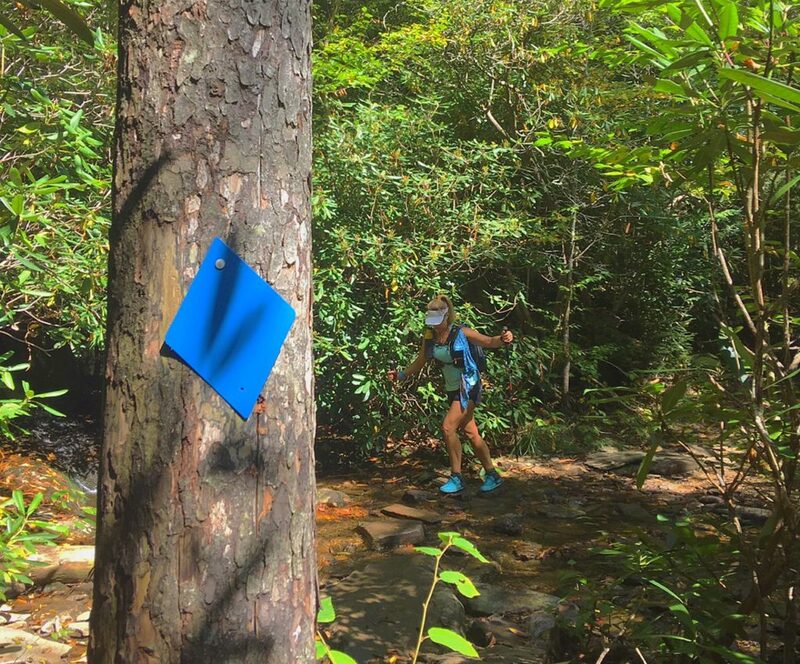 If running the trail, it should take 4-hours RT. If hiking, it should take 6-8-hours RT depending on pace and frequency/length of breaks. You can also do the trek in 2-days by camping. There are primitive campsites along the trail, at miles 3.1 and 4.3 (Commissary Hill). We went in early Fall and it was still warm. It started out in the 70’s F, but temperatures dropped to low 60’s F at the top. We had sunny skies and excellent views at the summit. In the distance, clouds started forming and we encountered rain showers on the way down. This made the trail a little slippery. 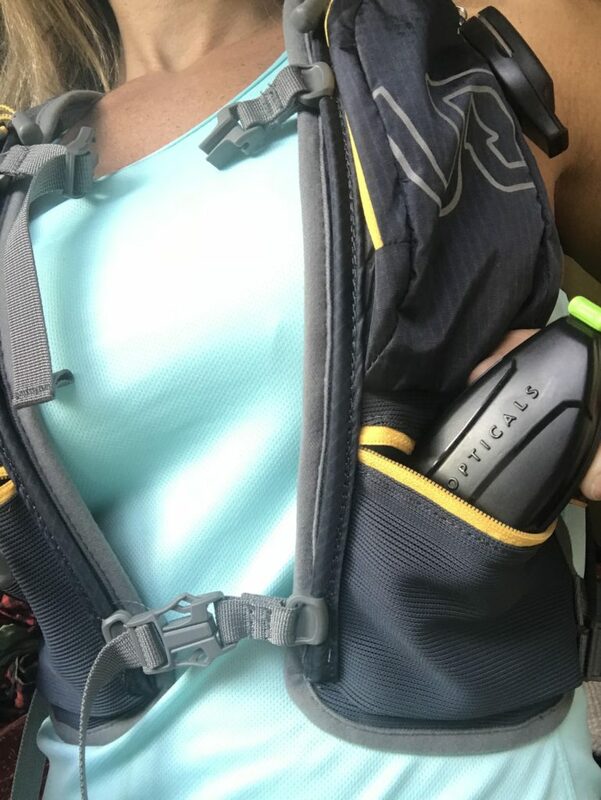 My recommendations on how to go light and fast on the Mt. Mitchell Trail. This blog, 'Summiting Mt. 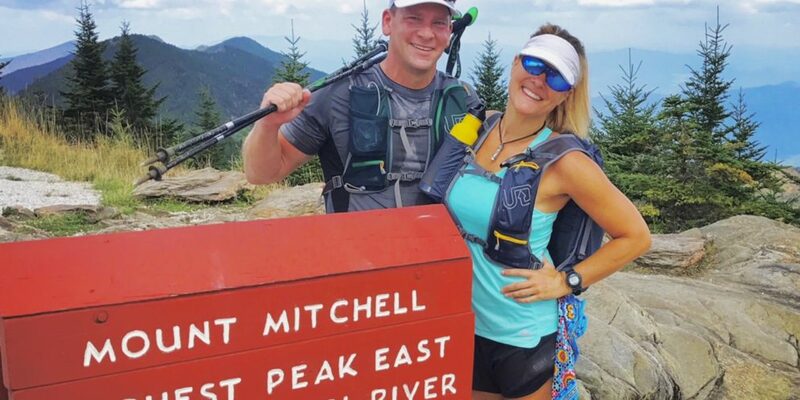 Mitchell – The Highest Mountain East of the Mississippi,' was written for Poptical Sunglasses (PACK SMALL. LIVE BIG.) by Payge McMahon. Like the Appalachian Mountains to the Rocky Mountains, Popticals are half the size of regular sunglasses. Similarly, to tectonic plates shifting, Popticals compactability is created by a sliding track system which allows the lenses to parallel each other. Unlike the Appalachian Mountains, Popticals won’t erode through time. They are made from a durable, corrosion and rust proof material, guaranteeing long-lasting functionality.